Skimming anthropological news late last year, I found the first inventory of the diet of humans who lived three quarters of a million years ago. The largely plant based diet included water chestnuts! I love eating this, and reading the paper took me back to the time I watched them being harvested. On a visit to Patna a decade ago, I stood near a pond covered over by plants. A boy wearing a flotation bag made of the skin of some animal was wading in the water, carefully harvesting the chestnuts, as you can see in the featured photo. The Hindi name for the nut is Singhada (सिंघाडा), the same word that is used sometimes for samosas. The commonality of the names probably comes from the similarity in shapes; the word literally means horned thing. 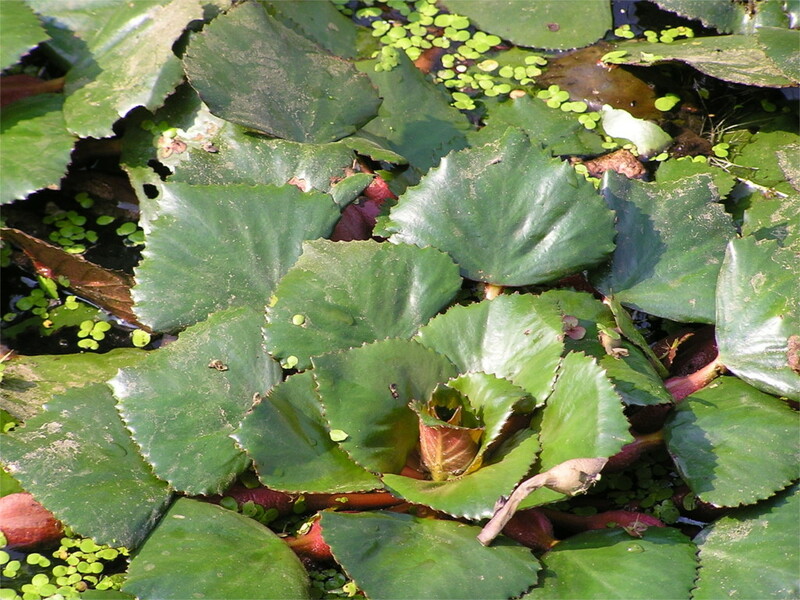 Water chestnuts are ancient food in India and further to the east. I’ve eaten them in China and in Japan (where it is called Hishi). Since samosas are a later import, I guess the word Singhada originally referred to this nut. You can see the plant in the photo above; it is technically a water Caltrop. At one time the little ponds of North India were covered with Caltrop, making it an easy nut to harvest. 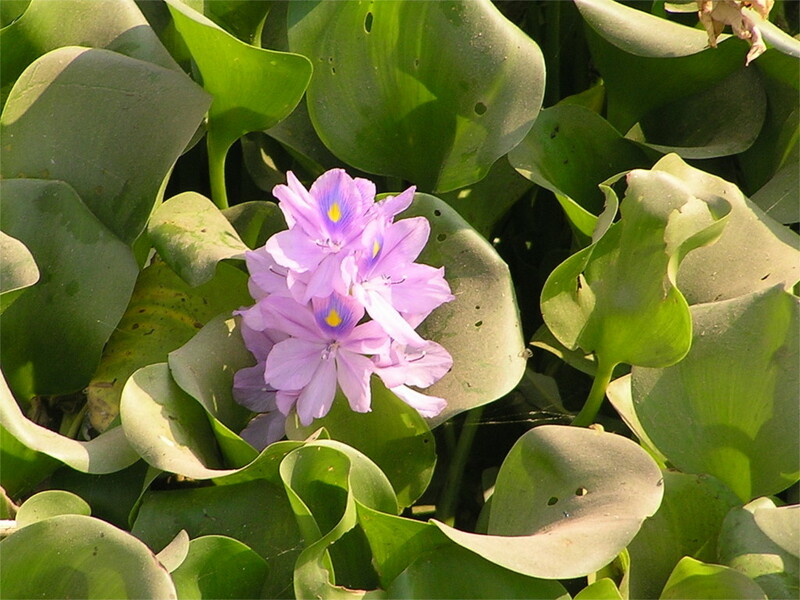 As a child I learnt to distinguish it from the invasive weed called water hyacinth (photo here). I have memories of seeing people dredging these useless invaders from ponds using rakes. They would come away easily, with water dripping from shallow black floating roots. Now that water chestnuts are regarded as a poor man’s food, the efforts to keep ponds free of water hyacinth have decreased. As a result ponds grow stagnant, become breeding grounds for mosquitos. Eventually, they are drained because they have become health hazards. It is hard to get Singhada in markets now.